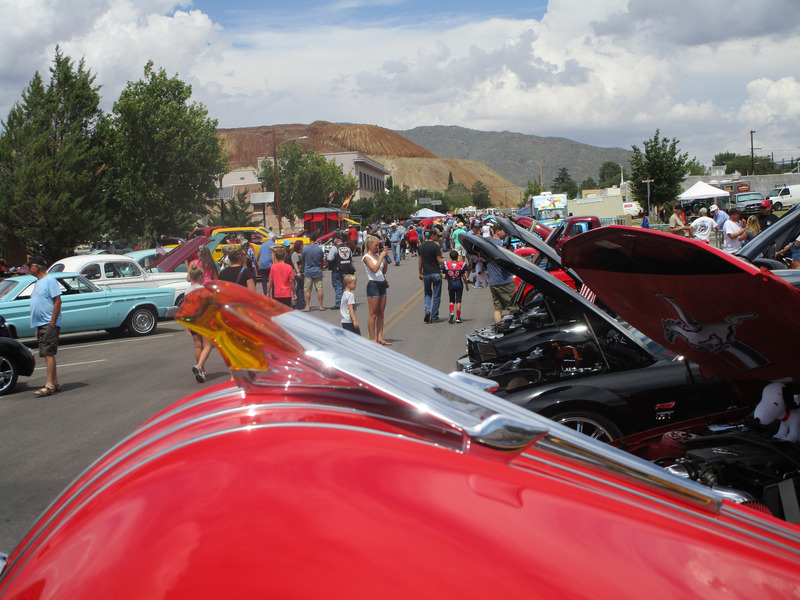 Cars and Bikes at the Vista hosted their 10th annual Cars and Bikes on the Streets of Bisbee show, an event which benefits the town’s Boys and Girls Club. 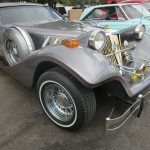 Following are some of the highlights, presented in random order, beginning with the classic featured above. 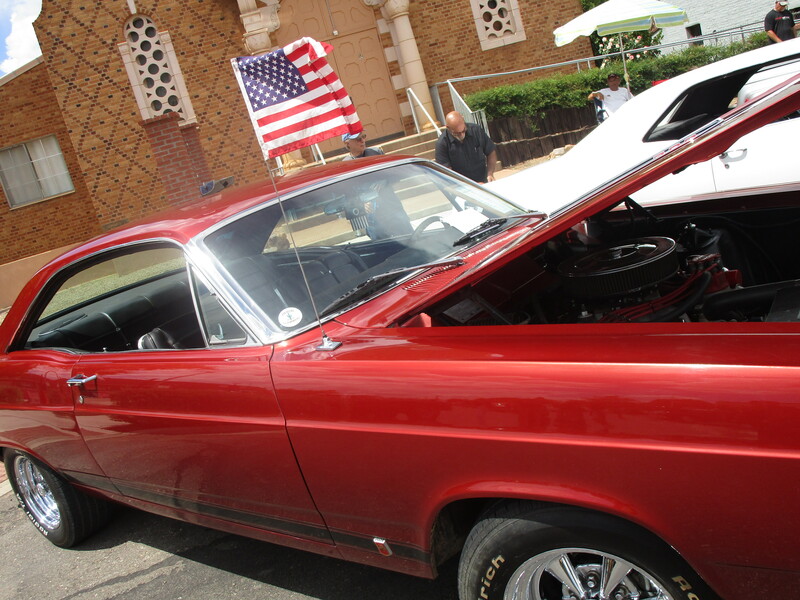 This 1966 Ford Fairlane GT came up from Tucson. 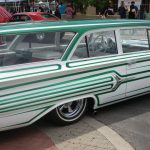 The year 1966 ushered dramatic change in body for the Fairlane. 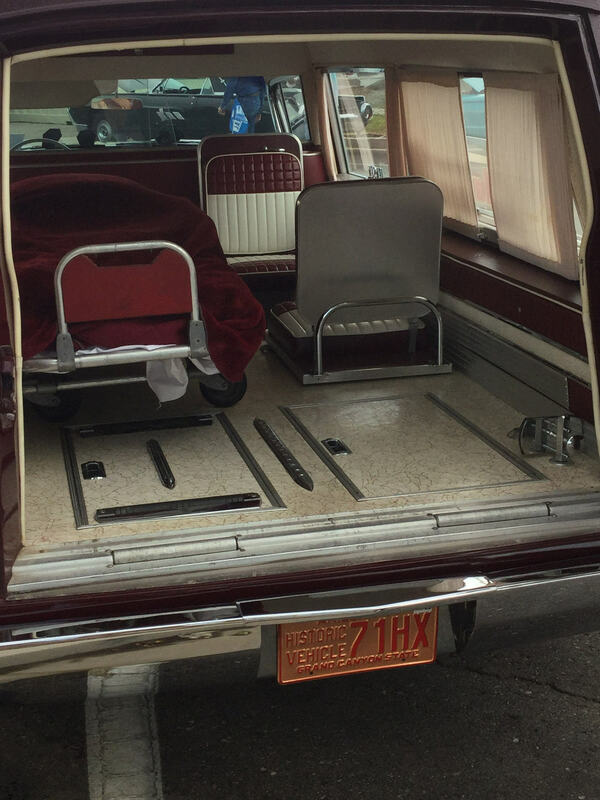 Ford introduced stacked headlights and a stock interior that included seat belts and a padded dash. 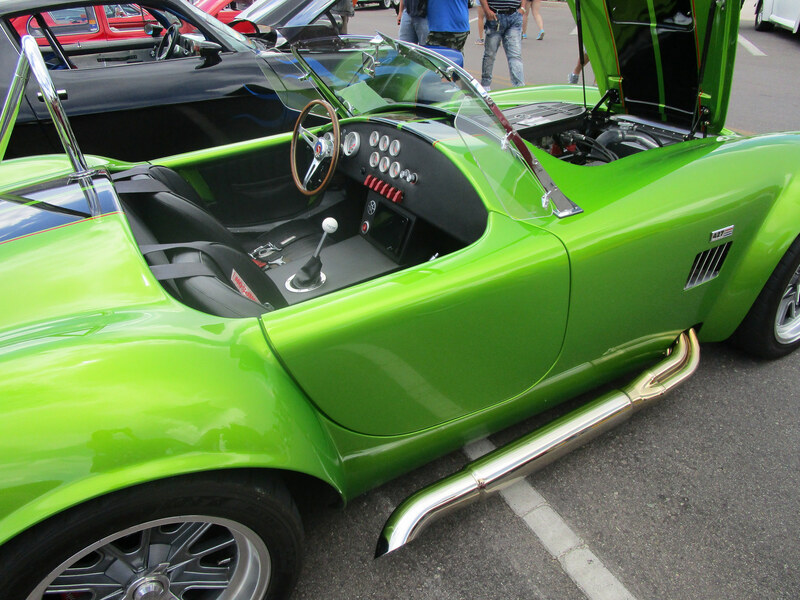 This 1965 Shelby Cobra also came from Tucson. 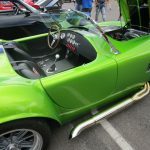 The Cobra was originally built to compete with Chevy’s Corvette, and was the fastest car on the road for many years after its production. This silver 1988 Tiffany Classic Elite came from Hereford, and has been a regular feature in past shows. 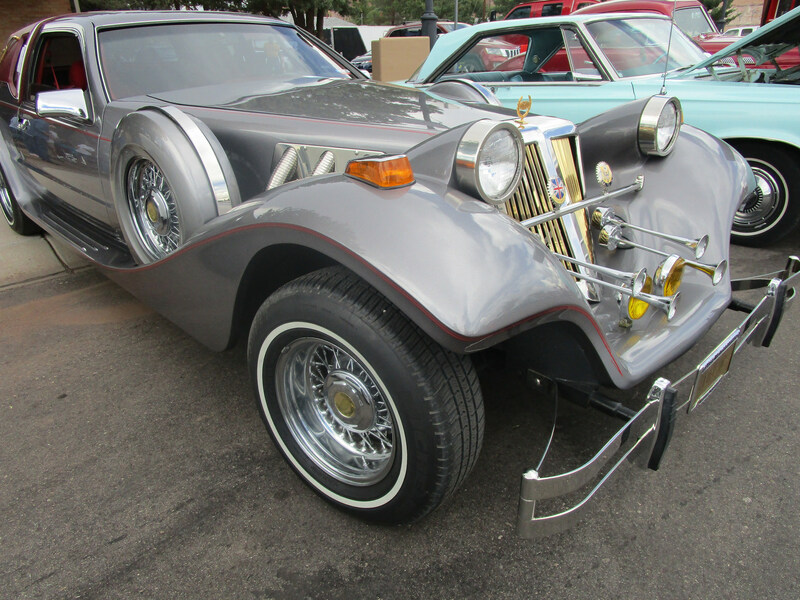 This beauty was built by the Zimmer Motor Car Company on a Mercury Cougar frame and exudes the look and feel of a luxury car in the 1930’s. 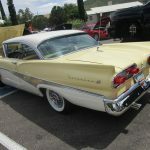 This 1958 Ford Fairlane 500 has the distinction of being one of the largest 2 door cars ever built, and this particular year marked Ford’s change to the Galaxie. 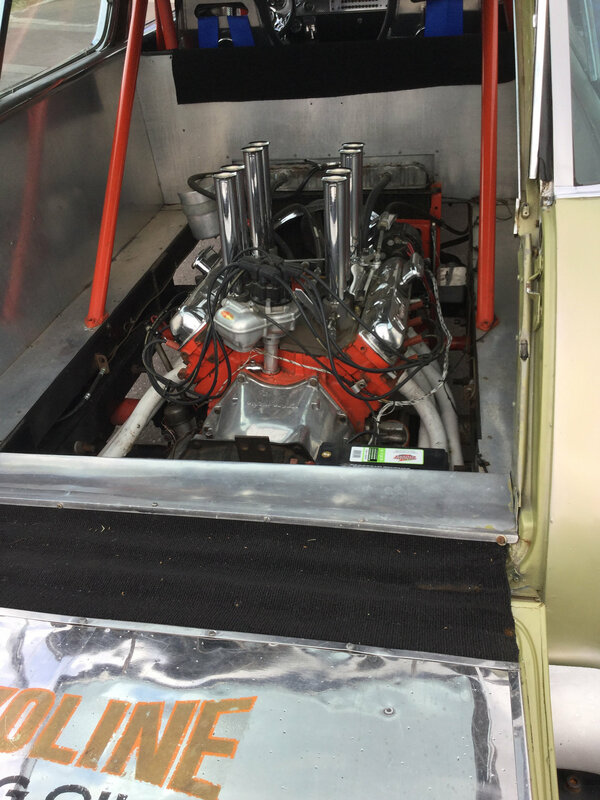 Influenced by pop philosophy that “Bigger is better,” this model included features such as a vertical gas tank designed to increase safety in rear end collisions. 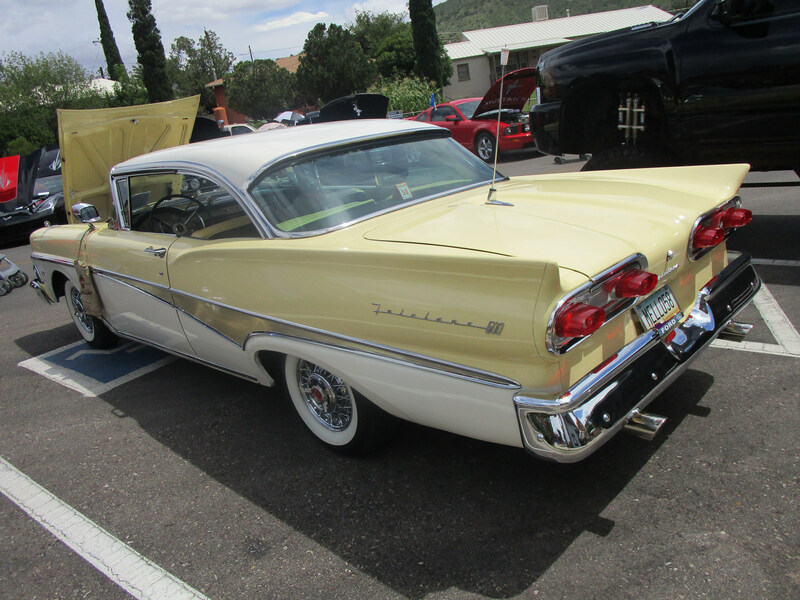 This model presents a very classic look of the era with the 2 tone paint, chrome interior, and white wall tires. 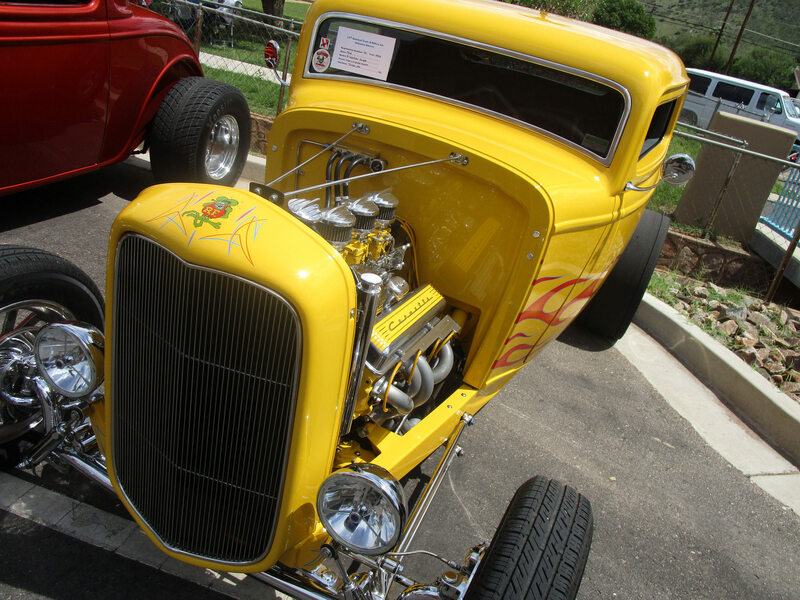 This bright cheery yellow 1932 Ford 3 window Coupe came from Tucson. 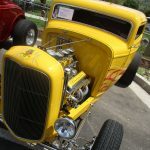 This particular classic Ford roadster has been updated with a small block Chevy engine and 6 pack carburetors, disk brakes, and even air conditioning! 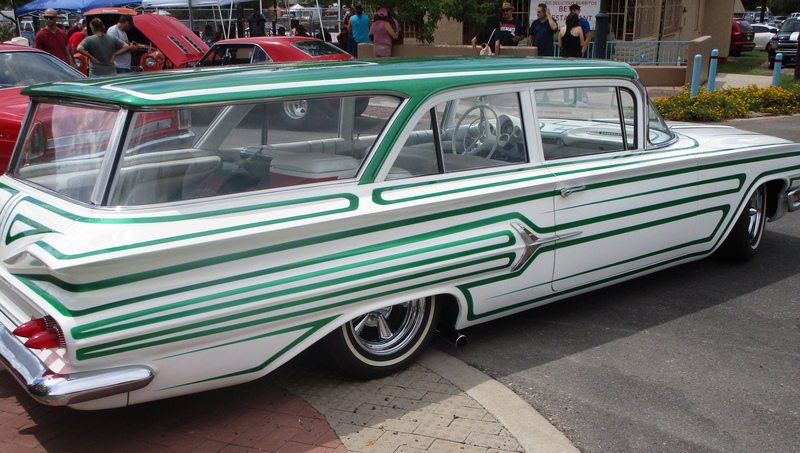 The white and green 1960 Chevrolet station wagon came all the way from Apache Junction. 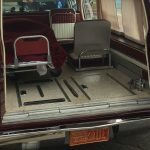 The Kingswood model of that year seated 9, so this is most likely a Parkwood model with seating for 6. 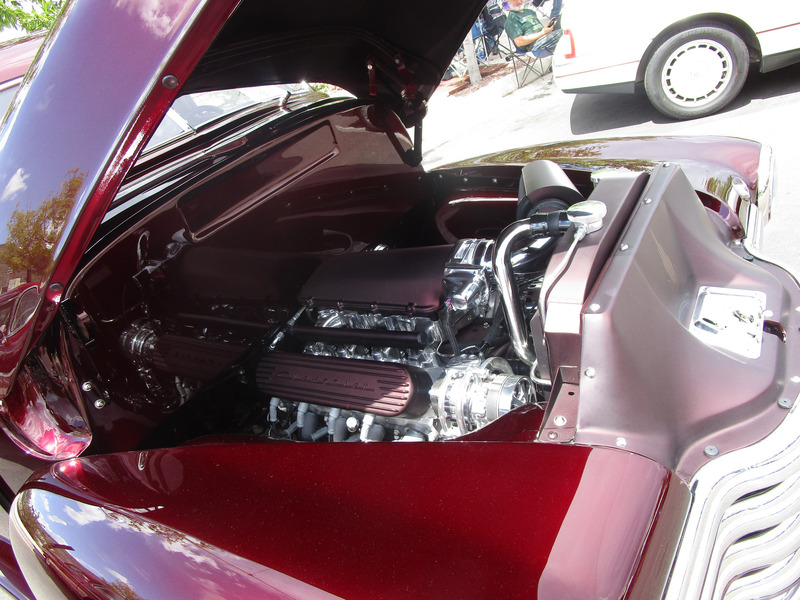 The restoration includes a lot of attention to detail for authenticity in the paint and matching interior. This one photo cannot do it justice. 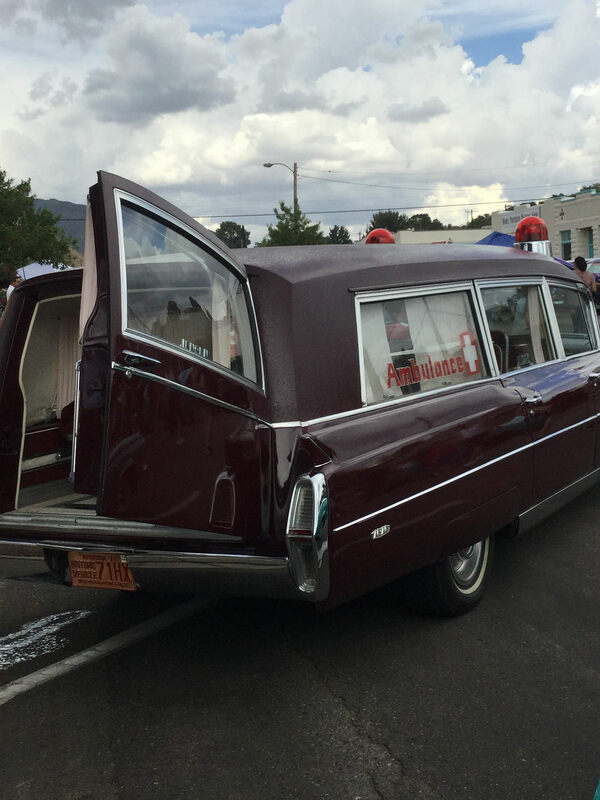 This 1964 Cadillac from Bisbee is a rare find. 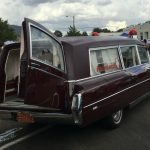 It has the functional parts of both an ambulance and a hearse, and it is one of the last classic Cadillacs with fins. 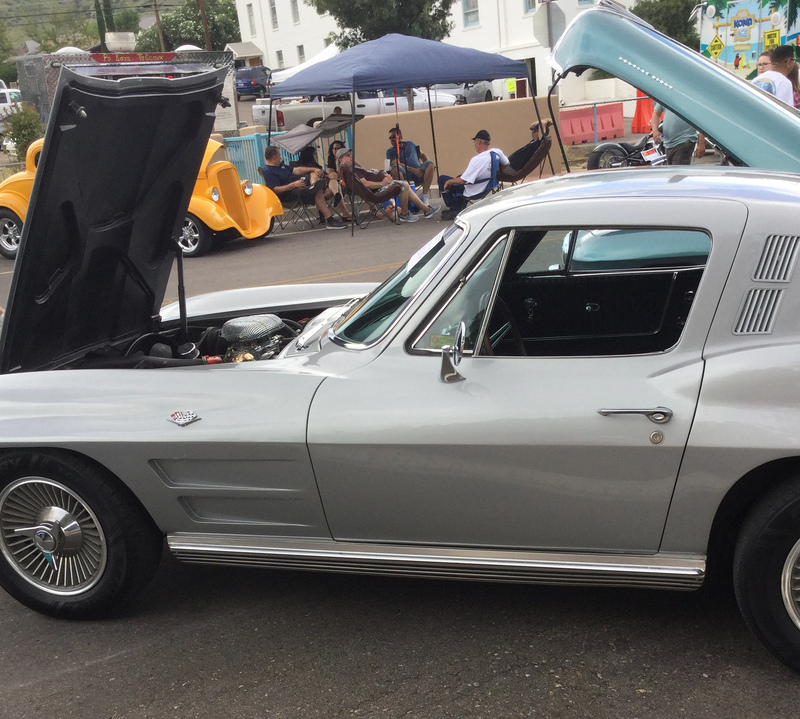 This beautiful silver 1964 Chevrolet Corvette Coupe, is a 2nd generation Corvette that boasts many advances still not even available in most of today’s models, including 4 wheel disk brakes and independent rear suspension! 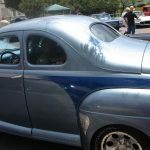 This 1943 Ford Business Coupe brings a rare piece of World War II history. 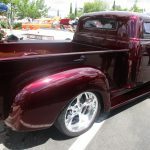 Ford had actually stopped productions of these models in 1942. Some were held in stock and sold between 1943-1945, and they were titled by the year sold. 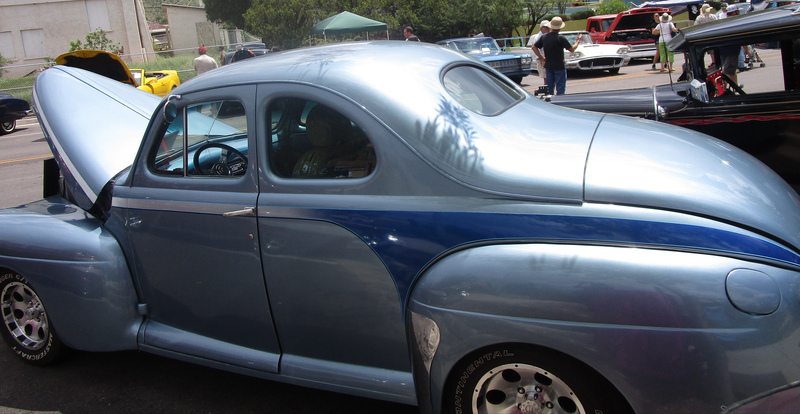 So this would be a 1942 model, sold in 1943. 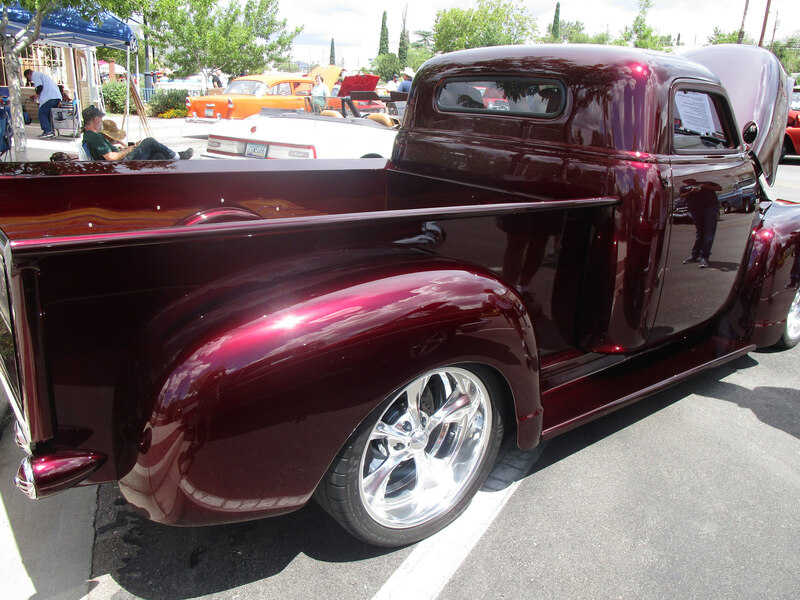 This gorgeous 1939 Chevrolet 3100 was driven down from Tucson. 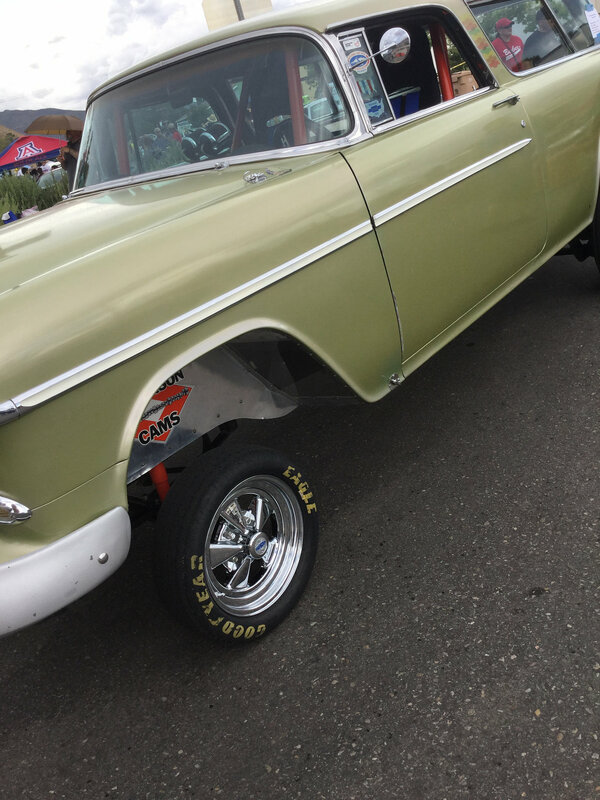 The truck expertly melds classic with modern. 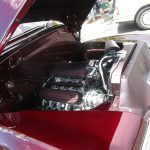 Almost every inch has been modernized in a way that is seamless with the iconic look of the original, from the TPI fed V8 under the hood; to all all-wheel disk brakes and suspension; to the interior with classic dash and wrap around bucket seats; to modern electrics which almost resemble stock. 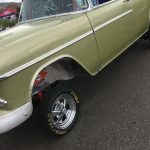 There was also at least one celebrity vehicle in attendance, including Gary Kleckner’s very own legendary Chevado Wheelstander, which has now been passed to Larry Oryall. 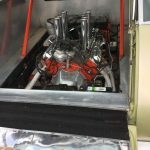 The team behind this restoration hold such a passion for preserving the history behind the vehicle, the original designer, and the sport of racing – all clearly reflected in expert presentation readily accessible on their website www.chevado.com. The team has posted some very engaging video and photography documenting the project, and they welcome interaction through their contact form and storefront. 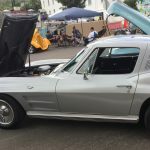 They have also provided some unique aerial footage and photos of this 2018 car show, available on Facebook @ChevadoWheelstander. 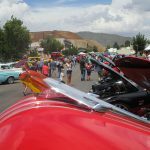 Many other eras, makes, models, and styles lined Arizona Street (like the 1954 Pontiac Star Chief Convertible pictured below with amazing attention to detail, right down to original tags and labels on engine components), and they are too numerous to feature in this humble article, so they will be starring in this album 2018 Bisbee Car Show Highlights.